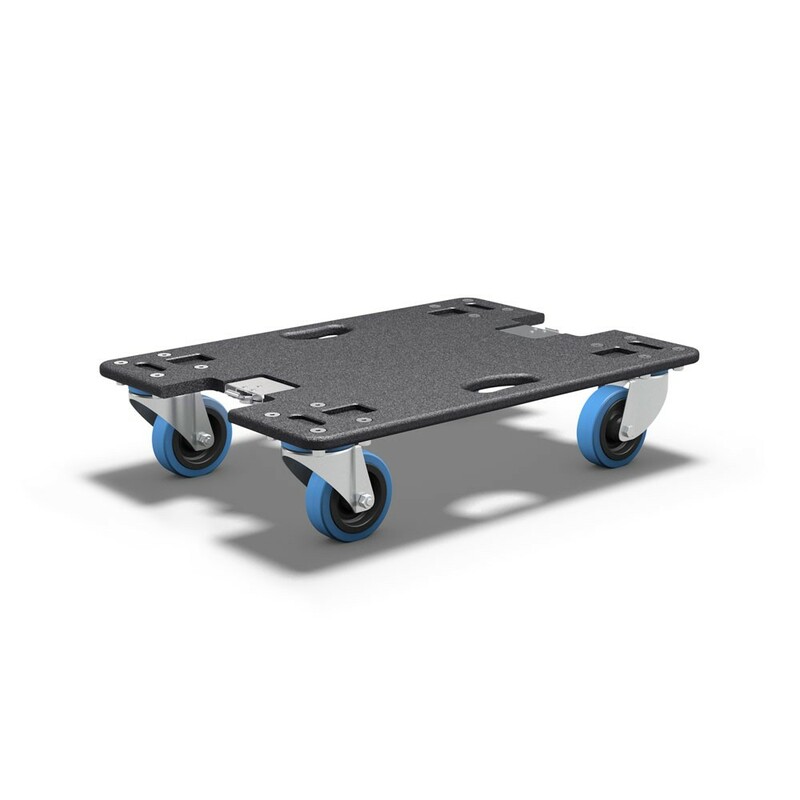 This stackable roller board is made of 15 mm birch multiplex with a polyurea coating that makes it extremely resilient and long-lasting. 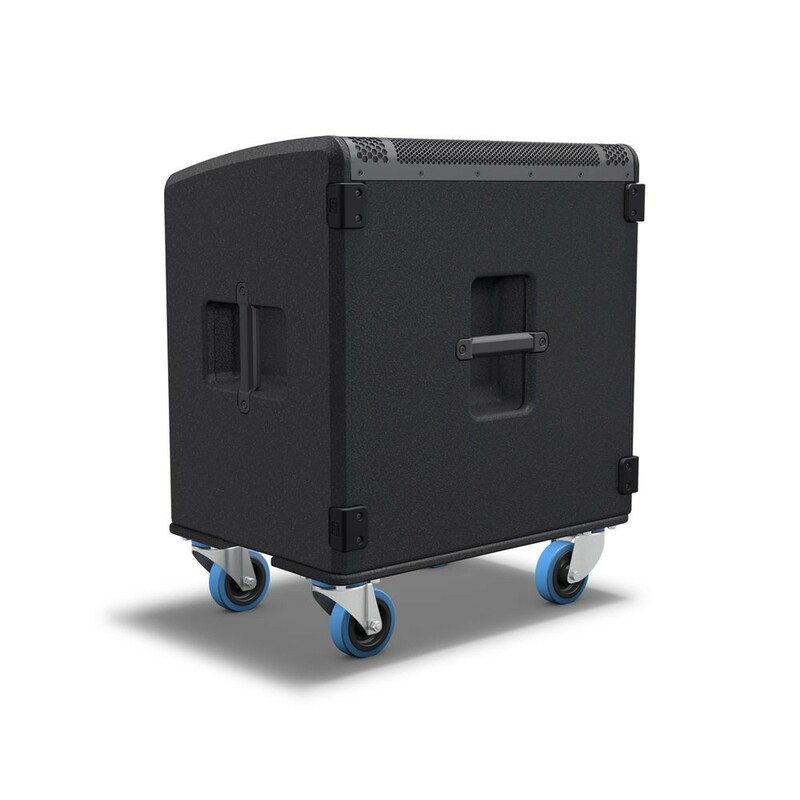 It is specially designed for the CURV 500® TS subwoofer and is securely fastened by means of two integrated butterfly locks. 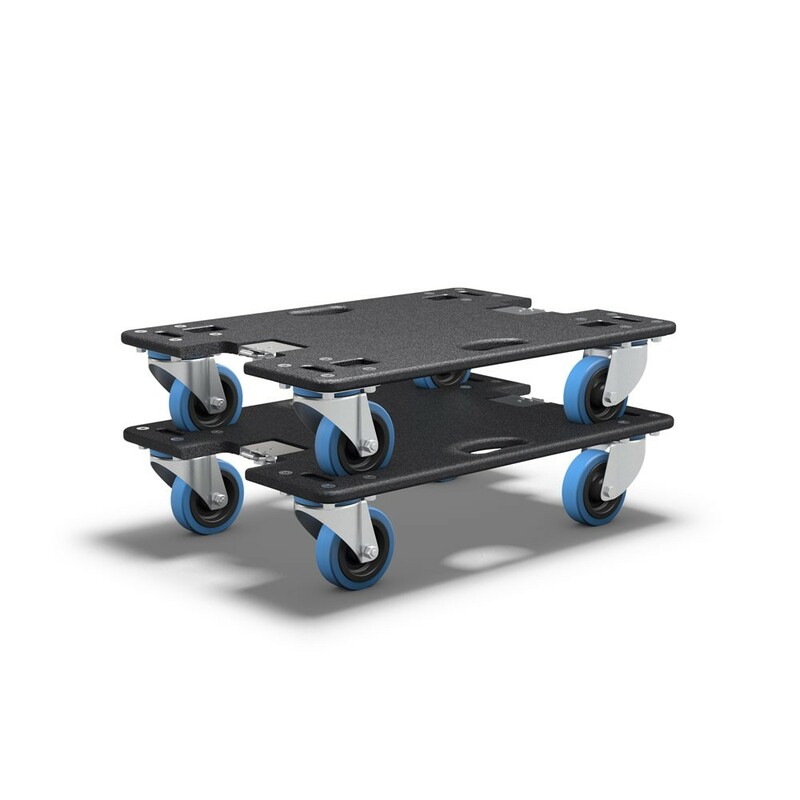 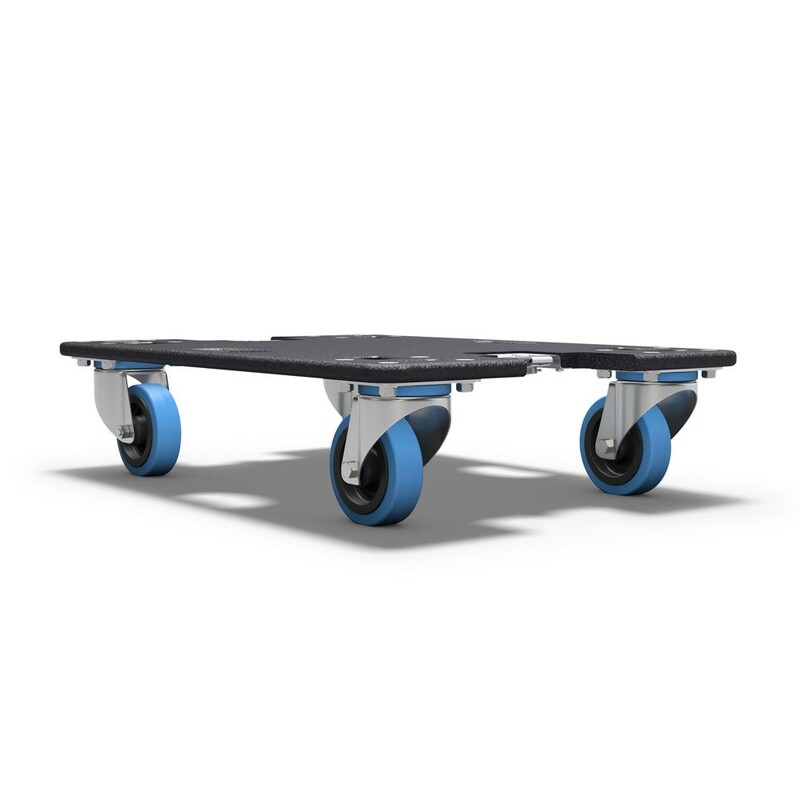 Four heavy-duty rollers with 100 mm wheels now make the sub easy to move around. 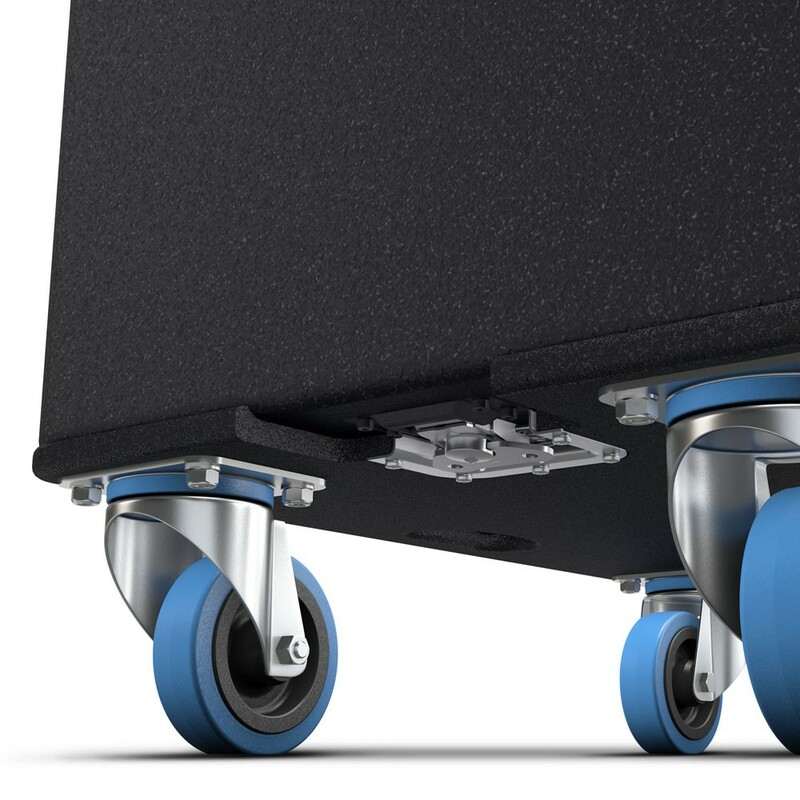 Two rollers can be fixed in position, allowing the subwoofer to be left on the roller board during use.